Under the model the land owner agrees to sell land for below market rate in exchange for an ‘affordable housing credit’ they can use against obligations for future schemes. In the Westminster example, which is the first of its kind, commercial property company Land Securities sold a site to private affordable housing developer Pocket for £2.3 million less than its market value. Westminster Council agreed that this money could be held by Land Securities as credit against affordable housing obligations on future developments. The credit can be used in lieu of payments that might have to be made where it is not feasible to have affordable housing onsite. 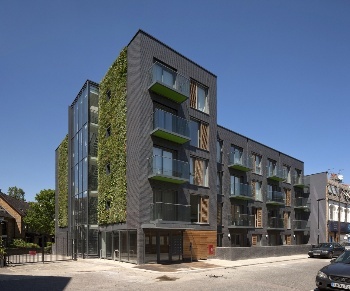 Pocket specialises in building one-bedroom homes for sale at below market rate in London. It achieves this by maximising the use of space and avoiding some planning requirements, but was unable to do this in Westminster due to high prices. The unusual planning model allowed Pocket to go ahead with the 32-home Fermoy Road development. The homes will be sold at a discount of 20 per cent on market rate to households that meet the income criteria used for the mayor of London’s first-time buyer scheme (those earning less than £61,400 a year). Buyers are bound by a covenant that means the home must be sold on for 20 per cent less than market price – which in Westminster is from £300,000 for a one-bed home – and to a person who qualifies for affordable housing. Sales must be approved by the council. Marc Vlessing, co-founder of Pocket, said the scheme could be a ‘massively important’ way of funding affordable housing developments in high-value areas. ‘We are talking to Hammersmith & Fulham, Kensington & Chelsea – talking to a number of lead boroughs – Camden – in which there are large developers with big affordable housing obligations, and where our credit model creates a new currency,’ he said. Experts on the development of affordable housing said although they were familiar with the principle of affordable housing credits they were not aware of similar schemes coming to fruition. I guess profit margin is preserved and always will be. One would like to know more about the definitions – for instance, when social housing can’t be provided in a development. Does that get much of a democratic airing before being inscribed in “the deal” ? Your 16th May post noted most want ” … a sense of space in their homes, which they typically felt was important for wellbeing – especially for those living in urban London”. Pocket’s product is not noted for spaciousness. This is the urbanism of first-class political lobbying.